This week's AMT podcast is with Guy Ben-Ary, a dude that is working at SymbioticA (at the University of Western Australia) - an art-research lab that is focused on biological art. In Guy's case, this means working with biology to create sonic art pieces, his most recent being the cellF project. 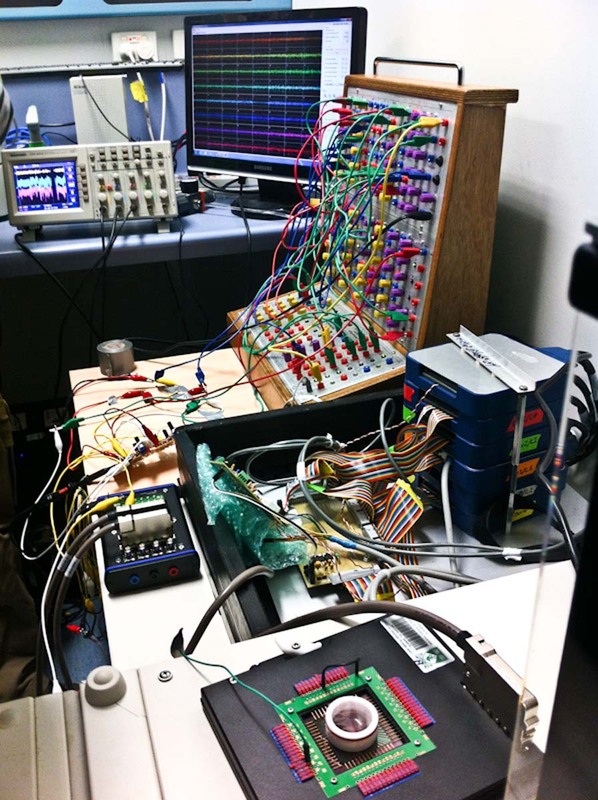 One of the things that I found fascinating during our discussion was that he is using a custom-built modular synth system that is created by Perth-based Andrew Fitch, creator of the Nonlinear Circuits modular devices. His work has always been fascinating to me (and to others - there is a long thread about it on the Lines community board right now), and it seems like he put together some wicked tools for Guy's cellF project. But the other thing that I took away from my interview was that - against all expectations - this system is not 'computer-managed'. I assumed that a computer would gather cellular data and massage it into some sort of artistic result. Rather, through some basic electrical amplification, the cellular activity is directly influencing the modular synth, without any kind of digital manipulation. As Guy described in the podcast: cell systems work similar to modular synths, so why not directly interface the two?!? This was a fascinating talk, and I came away with an education. Thanks to Guy for opening such an incredible door for us all!